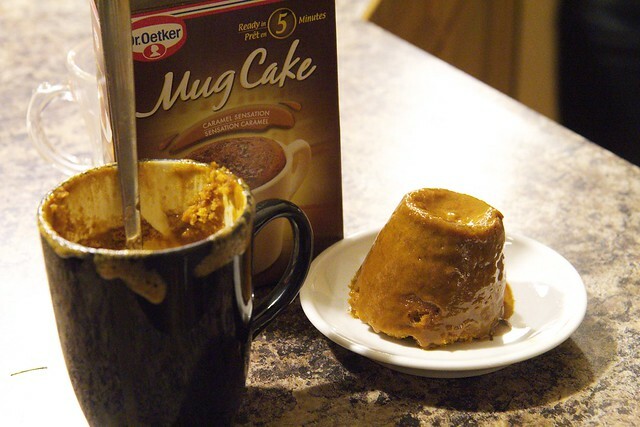 Bee, Rybread, Jan, Oat and I were invited over to a friend’s house for some board games and Oat brought over some cakes that are meant to be cooked in a mug in the microwave. It was surprisingly good! The texture was very creamy and did not at all taste like it had been cooked in the microwave! This entry was posted on March 7, 2012 by debbe. It was filed under 365, Food, Friends and was tagged with caramel, chocolate, Food, mug cake, saturday.